Are you a complete foodie like me? Yes? Great!! There is nothing I like more than trying out authentic dishes from different cultures. I guess you could say it's my way of traveling the world without ever really going anywhere. I feel like food is an amazing representation of culture. Think about it, everything from the spices and utensils used, right down to the way a dish is prepared is significant. Its a unique history passed down through the generations. These are traditions that will never die and THAT my friends is an amazing way to preserve and share culture. As an islander, born and raised in The Bahamas, I've met a lot of tourists visiting my country and I realized that they rarely even bothered to get a real taste of the local cuisine offered. What a tragedy, right? Instead, they opted for the very familiar and stereotypical Americanized dishes and the endless supply of food offered on the cruise ships. (Not that I can blame them! All you can eat food is a hungry girl's dream) Don't get me wrong. I know there are people who would love to try the local dishes but more often than not they have no idea what to try or where to find those dishes. 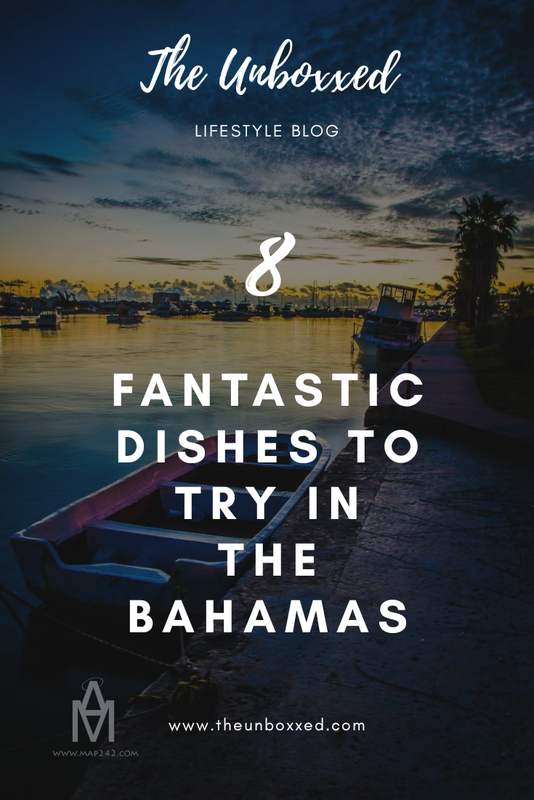 So I decided to create a list of popular Bahamian (Ba-hame-ian) dishes for you to try out when you are in The Bahamas. 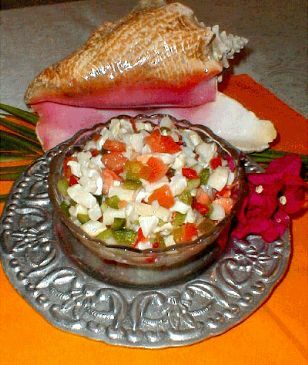 Bahamians love their Sea food so Conch Salad is a dish you should never leave The Bahamas without trying, unless you have an aversion to shell fish. This is probably one of the most popular local dishes on the island and it is nearly always prepared on the spot, with freshly caught conch, tomatoes, bell peppers and other herbs. You can also choose to spice it up with what we call goat peppers. If you are wondering what it tastes like then I would have to say it's very similar to ceviche, but in my personal opinion 1000 times tastier. Yes I am totally biased. This is literally exactly what the name describes, crab and rice. You would think that it's nothing special since it's literally just rice, but its actually really delicious. Compare it to Jambalaya. Crab n' Rice is made using tomato paste, fresh crab fat and crab legs, thyme and a few other herbs and it's quite aromatic. Personally, I'm not a rice fan but I would eat several bowls of crab n' rice. I absolutely love eating crab legs, even though it can be a little messy cracking them open over all that rice. Oh you don't know about the duff? Well let me tell you! Guava duff is that dish that EVERYONE loves. Bahamians will always run to the table for a slice of duff! 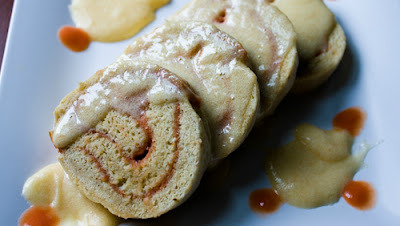 It's kind of like a pastry roll that is boiled instead of baked. It's made with a range of spices like cinnamon and is formed around fresh or canned guava pulp. 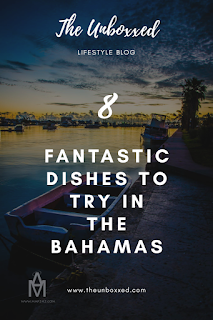 Guava duff isn't complete without the rum/brandy sauce though and I would have to say that it's not a dish that is easy to make, even for Bahamians. It can be eaten warm or cold but, I love it warm, like a slice of apple pie. While Guava duff is technically a desert, I am honestly guilty of eating this for breakfast. Trust me, best decision ever! Can I be honest? I am a seafood snob. I love seafood but I am super particular about how it's seasoned and prepared. If it isn't just right, I probably won't eat it. 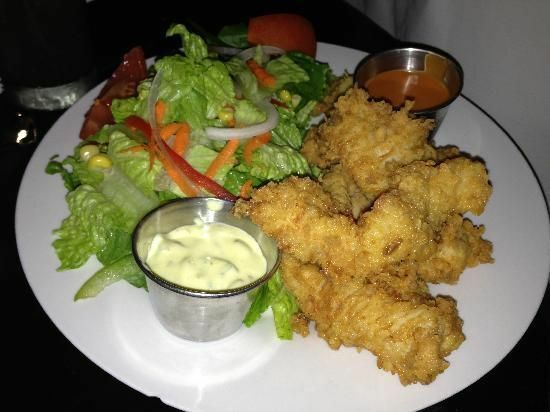 That being said, fried grouper is my favorite. Seasoned with a blend of spices and battered, it's perfect for lunch or dinner, especially with a slice of macaroni and peas n rice. If you're a real fish lover, you will definitely also enjoy the fried snapper! If you have no idea what conch (pronounced CONK), then it is simply a giant sea snail. 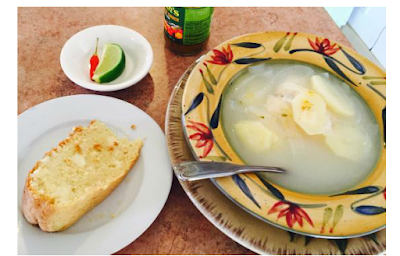 As weird as it sounds, conch is actually very delicious, whether it is eaten raw or cooked. 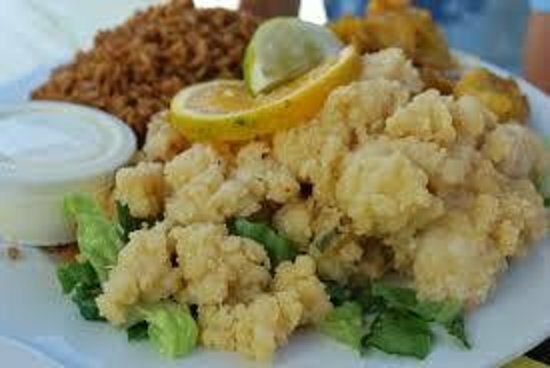 Cracked conch happens to be another favourite among the islanders, but it is actually a very simple dish. It's simply conch battered and fried, in a similar fashion to fried calamari. Typically it is served with a special sauce but a lot of people like to eat it with hot sauce and ketchup, along with a healthy serving of fries. 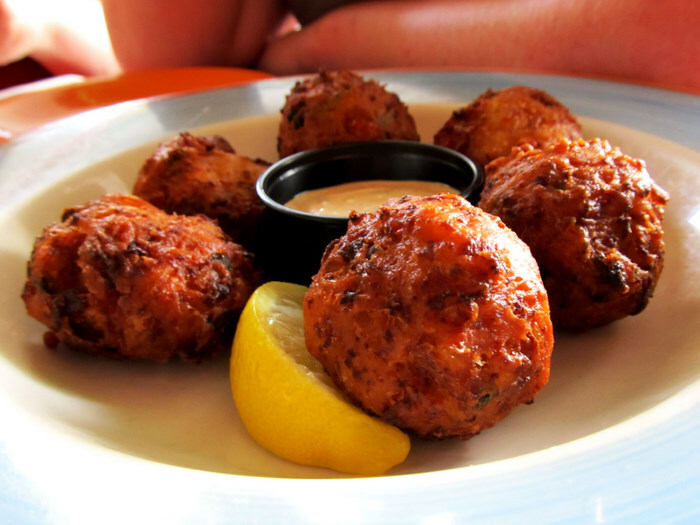 You probably know what a fritter is. This version is quite savory with chunks of conch and a few herbs inside. It's not a full meal but you can often find someone making fritters at local events in The Bahamas. It's the perfect snack to munch on during the day and can be very filling! The only down side to this is the fact that it can be a little on the greasy side, but that's cut down when the sauce is added. Who doesn't love macaroni? 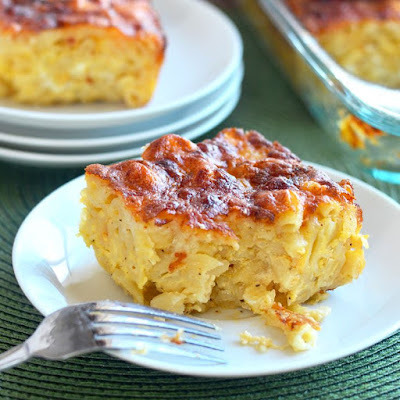 Baked Macaroni is a staple in Bahamian meals. Quite frankly if it's not baked Bahamians don't want it. Just kidding, but seriously baked macaroni in the Bahamas is made with cheddar cheese, a blend of spices and herbs to give it its unique flavor. It's nothing like Kraft Macaroni. This is something that I have made for my friends in the US and they have absolutely loved it. It's that dish that definitely keeps people going back for more! This is a dish I grew up eating for breakfast. It's fairly simple, but very filling. It is basically a light soup dish (don't worry it's not super fishy), typically made with grouper and paired along with Bahamian Johnny cake, which despite the name is not a cake. It's really a sweet dough that is used for dipping broths or paired with warm butter. The great thing is that these two can be eaten separately or paired. Just so you know most of the dishes mentioned can be bought at the Local Fish Fry or The Reef. There are so many more dishes that I can mention, but I will save it for another day. Keep in mind I love sharing the culture I was raised in with others and I love when people can embrace the things I grew up loving. If you have any questions or if you have tried any of these before then feel free to let me know what you think down below. Until next time..
Oh my goodness these dishes sound so unique and interesting!! These dishes sound awesome. Thank you so much for posting this. 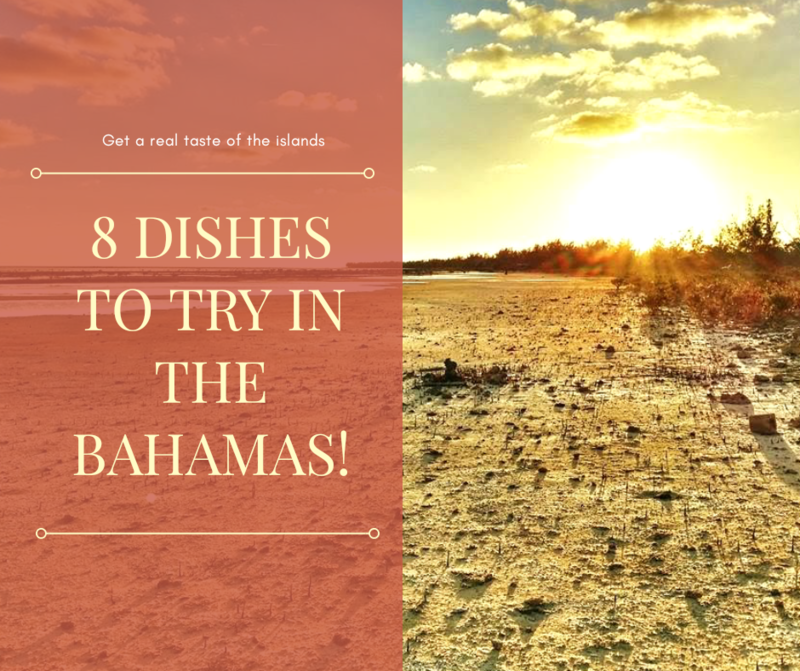 Both me and my wife are islandersand since she’s from The Bahamas I can now ask her to to try and make some of these dishes. My family is planning a cruise to the Bahamas so this was right on time! I love food too, and I am always looking for authentic food when I travel. This list is perfect! I have had conch before but I can’t wait to get back and try some again. Thanks for this! I want try everything conch! I need to go there asap! 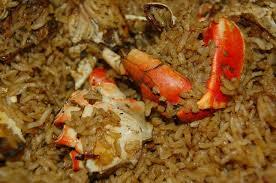 The Crab n' rice and bakes macaroni look so yum! Thanks for sharing this list! Wow, literally every dish looks worth trying. Very nicely presented and the way you describe them makes you want to eat it. I love sampling local foods and am always avoiding the tourist traps because I know the food sold to tourists is far from the real thing. I know that from travelling in China. I realised there that I had never had real Chinese food. Ah, I haven't been to the Bahamas, but that conch salad looks amazing! I love this list! If I am lucky enough to visit the Bahamas again, I am definitely trying conch of some sort--probably the fritters--and the guava duff. It sounds delicious.